I digressed, Ok check out this little bit of squishy and lovey goodness. This was my first attempt at a glitter jelly sandwich and I really love the final look. I really don't own any commercially available jelly polishes, so like usual when I don't have something, I make it up for myself. I made this jelly polish up using 97% clear suspension base, and 3% Red 7 Tint. 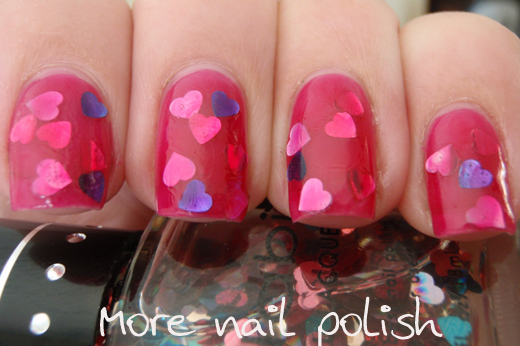 I did one layer of the jelly, then one and a bit coats of Nabi Heart Glitter. 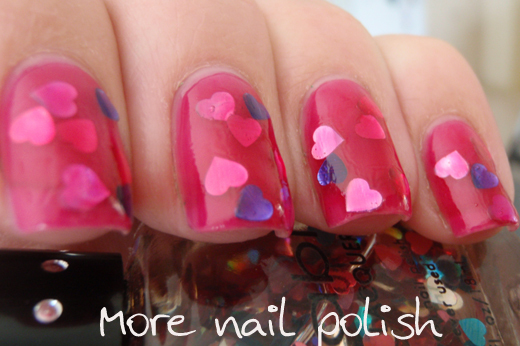 It was really one coat, but then I dabbed with extra hearts to fill it up till I liked the effect. I then layered two more coats of my jelly polish and one coat of Seche Vite. 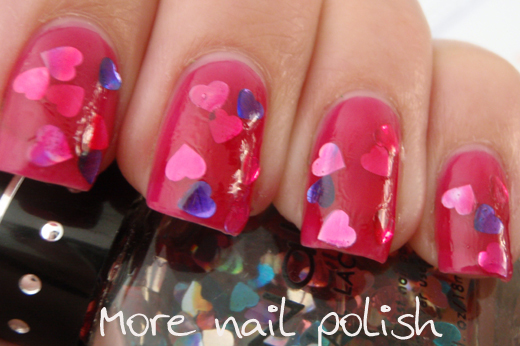 The Nabi glitter has heart glitter in three colours, pink, silver and blue. What I love about this jelly sandwich is that the pink hearts went hot pink, the silver ones went pink and the blue ones went purple. 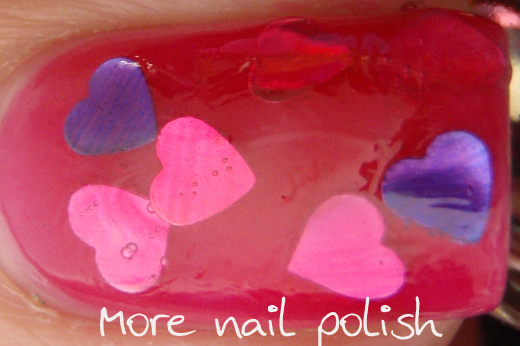 You should see the monstrosity of a nail art creation I have put on today and will post tomorrow. It really is worth coming back to see. And that ad is so weird!!! It's like you dipped you nails into red jelly! love it, esp. w/ the purple hearts to set of the pink!! awesome, looks like the hearts are in 3D! So cute! One of my favorite jelly sammiches ever. So pretty! 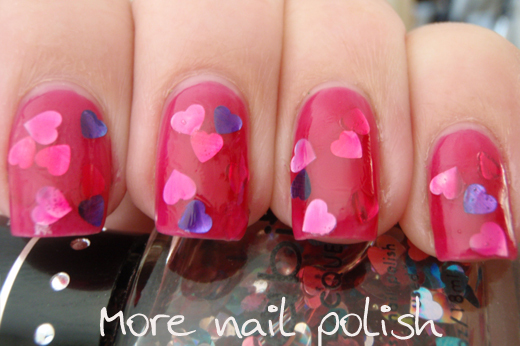 Where did you buy the supplies for this polish, I want it!